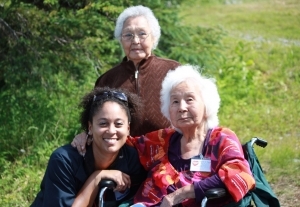 Caring for the elderly or disabled can be a daunting task. 24-hour, seven-day-a-week care often takes a heavy emotional and physical toll on even the most capable caregiver. At Hearts and Hands we understand this challenge, and we’re here to help. Since 1999 we have offered a unique style of respite/daycare to clients throughout the Anchorage and Mat-Su area. 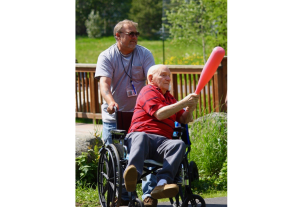 In addition to typical adult daycare activities such as group games, memory skills building, and exercising, at Hearts & Hands we also provide many opportunities for recreational field trips. Clients are able to get out of the house for a change of scenery, socialization, and safe, supervised activities within the community. Meanwhile, and just as importantly, primary caregivers can take a break from their normal caretaking duties. It’s a win-win situation for everybody. 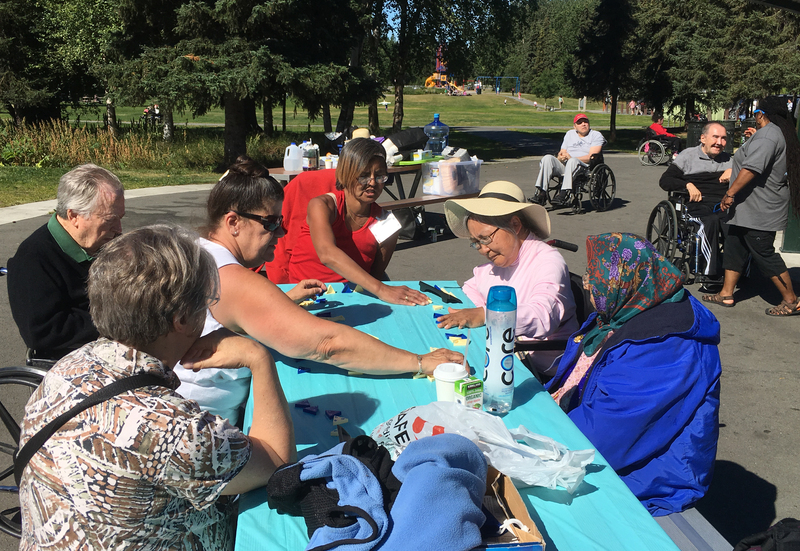 At Hearts and Hands we believe that assisted mobility, a variety of activities, and small group interaction are essential components of a fully structured day program. 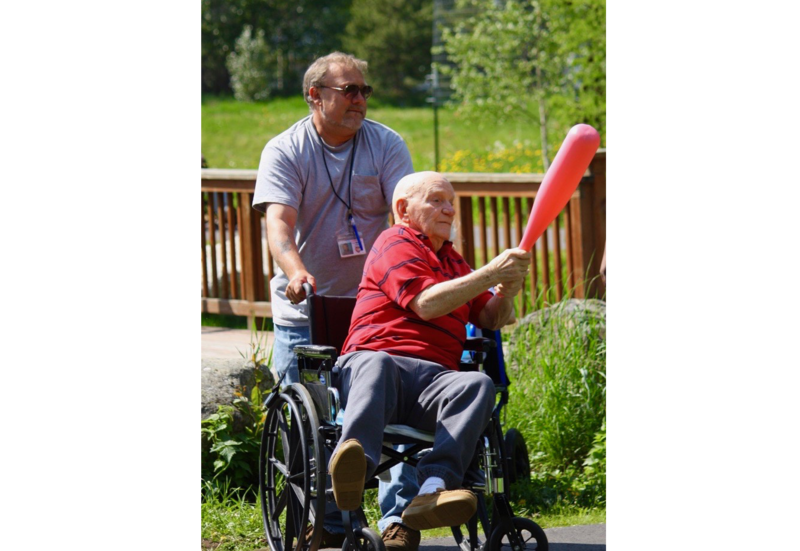 We schedule an ever-changing roster of events to support the physical and emotional needs of our clients. Recognizing that each one of our clients has unique needs, we match our activities with specific individuals to the greatest extent possible. to socialize with their peers. monotony of their everyday surroundings to our activity center and points beyond. To ensure optimum socialization, we arrange groups based on our clients’ ages, interests, emotional needs, and personality types. We offer table games, a craft room, history/cultural presentations, billiards, Nintendo Wii games, holiday festivals, range-of-motion exercises, trivia, bingo, sing-alongs, and many other socially stimulating opportunities.